Dr. Power is a retired board certified neuropsychologist and former Assistant Professor of Surgery/Neurosurgery at the Medical College of Georgia, where she performed intra-operative cortical mapping with renowned neurosurgeon Herman Flanigan, M.D. 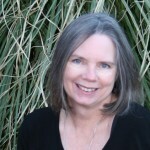 She has over 20 years of clinical experience in both in-patient and out-patient settings and during her years of practice has also been both a practitioner and student of alternative healing methods, including herbal medicine, aromatherapy, Reiki, Chinese Medicine, and other energetic healing systems. Her extensive formal training and experience in the olfactory and limbic systems of the brain give her a unique qualification for understanding the actions of essential oils in the body. Dr. Power is the founder and former owner of Dreaming Earth Botanicals and is now a clinical consultant for Artisan Aromatics as well as an internationally known writer and teacher in the fields of aromatherapy and alternative medicine. Her approach to aromatherapy weaves together her solid scientific training and strong clinical skills with a holistic philosophy that honors body, mind and spirit. Dr. Joie Power is also the author of The Quick Study Guide to Aromatherapy and numerous published articles on aromatherapy and related topics. Buy Authentic Essential Oils. We recommend Artisan Aromatics for all of your Essential Oil and Aromatherapy Blend purchases. Artisan Aromatics is on a quest to bring you the finest essential oils from around the world. True Therapeutic Quality Essential Oils at reasonable prices without the hype. Keep up with what's going on at Highlands School of Natural Healing and receive interesting articles related to our workshops and courses. Or, send us a message through our Contact Form. © 2019 Highlands School of Natural Healing. All Rights Reserved.